Thanks for your comment. Your needle and haystack image fits very neatly. Researchers who argue for foregoing the extraction step usually make the argument that dilution is adequate to prevent interference, but this of course creates a new requirement for them as well: They have to prove that extraction is *not* a valid way to prevent interference, since results from the two methods are uncorrelated. Their burden of proof may actually be twice what they think it is. Im about to carry out a dissertation study on the effect of intranasal OT on hoarding but couldn’t get my IRB to go along. Next I was going to try and stimulate endogenous OT for the same study and want to use saliva to measure it. I have help for the ELISA phase but don’t think I gave the resources to extract the saliva. 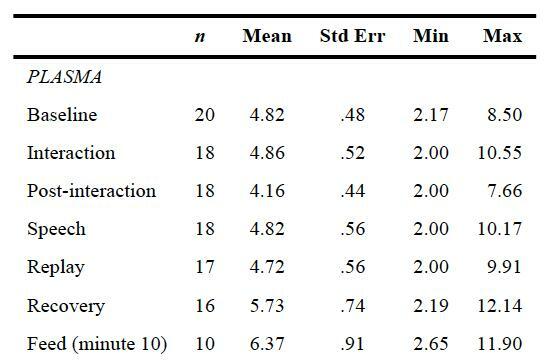 Since I’d be doing a pre saliva/experiment/post saliva study, wouldn’t that at least show my experiment was having an effect even if I could not quantify the actual amount of OT? Or do you feel the ELISA would be so random that I wouldn’t know anything. 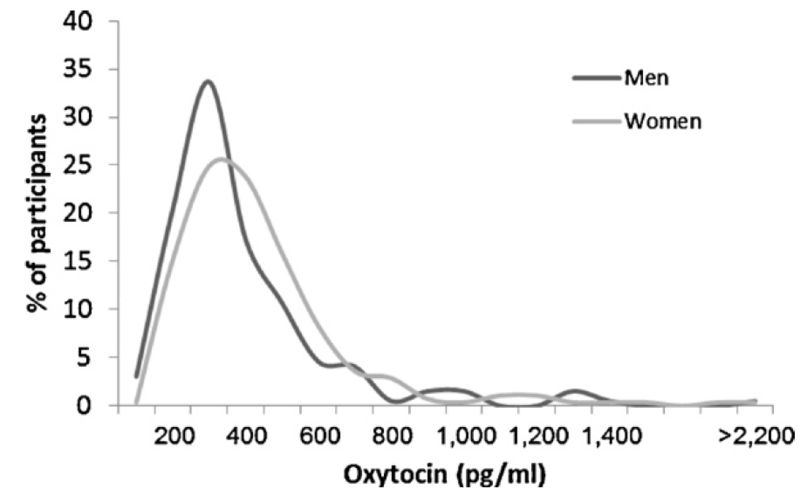 Dear Paul: Maria Horvat-Gordon’s 2005 paper deeply questions whether there is any meaningful amount of oxytocin in human saliva (http://www.ncbi.nlm.nih.gov/pubmed/15763582). I do not know of any reason to doubt her misgivings. To my knowledge, no one has used methods that are adequate to show that Horvat-Gordon was incorrect. In any case, she recommends extraction if you are going to use saliva. Here’s an idea, if you want to do a really important project: Take some saliva samples, split them, and then extract half of the duplicates. Then, run assays on all samples and then compare the absolute levels of OT, as well as correlations of values across the two methods (raw vs. extracted saliva). No matter what you find, it will be a real scientific result from which a lot of researchers would derive benefit. It will be highly publishable. Thanks for the idea. I’m still getting my mind around learning the ELISA procedures but I hope to go to a “Spit Camp” run by a lab company and perhaps I can get a leg up on the extraction process as well. What currently available EIA kit for Oxytocin detectin would you recommend is the most accurate/uses the most specific anti-oxt antibody? Thanks for your question. Wish I had a good answer. Your best bet, I think, would be to contact manufacturers directly and require them to show you the evidence on which they base their claims of sensitivity and specificity. Do you have any clues what the antibodies are cross-reacting to in EIAs? What is your opinion on what the interfering factors are likely to be… vasopressin and similar peptide hormones, amino acid motifs in large plasma proteins, both or something else again? A more specific antibody would be preferable to extraction if there’s no way to be sure if/what proportion of oxytocin is lost during extraction. I wish I knew, Lisa. Those questions take me way beyond my pay grade. My colleague Armando Mendez might be able to help you. He’s at the Diabetes Research Institute at UM. Very skilled; very up to date on these issues.